In some extreme circumstances, vascular disease or complications with diabetes can lead to the need for amputation of lower limbs. 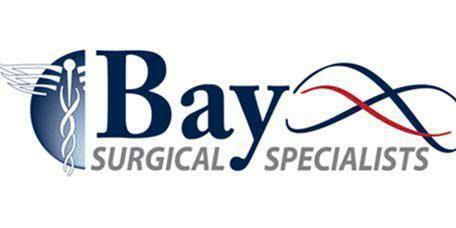 Dr. Almond at the Bay Surgical Specialists office located in St. Petersburg and Pasadena, FL, can perform these surgeries and advise patients on aftercare. Amputation is the procedure which removes a limb or extremity from the rest of the body. This is a surgical procedure and is almost always the last resort in terms of treatment. Modern prosthetic technology and physical therapy programs allow patients who have an amputation return to normal life and activities. Peripheral vascular disease: The lack of efficient and sufficient blood flow in and out of the legs and feet can cause issues such as ulcers, gangrene, and osteomyelitis. These conditions are often linked to older patients with diabetes mellitus. Severe trauma: When a leg is so traumatically fractured that even with the most advanced surgical repair it will be painful, nonfunctional and less efficient than a prosthesis, amputation can be employed. Infection: Sepsis can be treated with drugs to constrict blood flow. A side effect of this can be vessel occlusion which can lead to extremity necrosis. What should I do prior to the procedure? As with most major surgeries, the patient will have an extensive consultation with the surgeon to discuss the procedure. The patient will need to let the doctor know what medications are currently being taken, including prescriptions, over the counter medications, vitamins, and supplements. Patients will be advised to stop taking aspirin, ibuprofen, warfarin (Coumadin), any other medicines which hinder blood clotting and drinking alcohol in the days prior to surgery. Patients should also ask the doctor which medicines should still be taken on the day of surgery. If a patient smokes, he or she should try to stop. Diabetics should eat and take their medications as normal until the day of surgery. Patients are usually asked to avoid drinking or eating anything for 8 to 12 hours prior to the surgery. Any pre-surgical medications to be taken that day should be ingested with only a small sip of water.